Our PPC optimisation delivered £40.31 for every £1 spent, driving a 455% increase in online sales and 81.9% more basket value for Natures Menu. 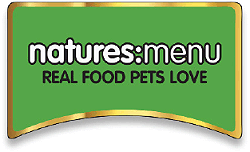 Natures Menu is fast becoming Europe’s leading brand for raw dog and cat food products. Inspiring pet-lovers with tasty and healthy recipes, they wanted to introduce their popular range of products to more pet owners and talk about the benefits of feeding their four-legged friends a raw food diet. We were asked to increase online sales and generate a return on investment with paid digital. We also wanted to go one step further and raise overall basket values while lowering CPC. Our strategists laid the foundations on the Natures Menu website before bringing in the paid digital team to launch the campaign. The first marker we wanted to reach was to give the brand instant visibility and sales. Using this early data, we then evolved the strategy and rolled out a content marketing and conversion optimisation plan. In this case, the real opportunity was to target highly-relevant and niche keywords to pick up new customers. Almost immediately, the campaign began to gather pace and the ROI went through the roof. This gave us the chance to introduce another layer of more generic keywords into the mix to increase product and brand awareness around raw pet food. We couldn’t have been more pleased with the results. Our strategy and paid digital campaign led to a massive 455% increase in online transactions. The cost per conversion plummeted from £3.14 to £1.83 over a 12-month period. Even better, the average basket value was up by 81.9%, suggesting that we were also educating customers about the benefits of raw pet food. But the real proof came by the end of the year when Natures Manu tallied up the sales – on average £40.31 in sales for every £1 spend, reaching a record high of £58.31 by the end of December.